Melinda was born at Fort Sill Army Base in Lawton, Oklahoma. Her father was in the USAF and was relocated to O’Fallon where he decided to retire when she was 3 years old. She has been here ever since! She attended the local grade school, junior high, and high school. In 2005, Melinda graduated from McKendree College with a Bachelor in Business Administration. Retail Management has been her profession for the last 19 years. In September 2014, Melinda married Dr. Corey Osborne in Surf City, North Carolina. She is very excited to be a part of the family business, running all business operations. Charity has been employed with OFC since April 2007. She graduated from Belleville Township High school East in 2004. From there she attended Southwestern Illinois College where she studied Communications. In 2009 she completed a certificate in training for Chiropractic Assisting from Palmer College of Chiropractic. Charity assists Dr. Osborne with patient management, labs and runs the front desk operations. Charity was born in Hawaii and raised in Belleville. She enjoys spending time with her family and friends, reading, and scrapbooking. She and her fiancé enjoy spending time with their two little boys, who are both growing very quickly! Miranda was born in Joliet, IL but grew up in Braidwood, IL with her family. She graduated from Reed-Custer High School. Upon graduation, Miranda attended Missouri State University where she received her Bachelor's Degree in Exercise Movement Science and minored in Psychology. After graduation, Miranda relocated to the St. Louis area. She has 5 years of experience in the medical field. She enjoys spending time with her family and friends, crafting, doing yoga and watching her favorite baseball team, the St. Louis Cardinals, and also her favorite hockey team, the Chicago Blackhawks. Miranda is very excited to be a part of the Osborne team! Connie grew up in Mansfield, IL where she lived with her family. After graduating from Mansfield High School, she attended Eastern Illinois University earning a BS in Education. She married Fred Osborne and together raised two sons. Connie taught for 24 years combined in Oakwood, IL and Gardner, IL. She now resides in O'Fallon, IL where she’s been for 20 years. She was a substitute teacher in the elementary and middle schools of O'Fallon, IL for a year until 2002 when she helped her son, Dr. Corey Osborne, open Osborne Family Chiropractic. 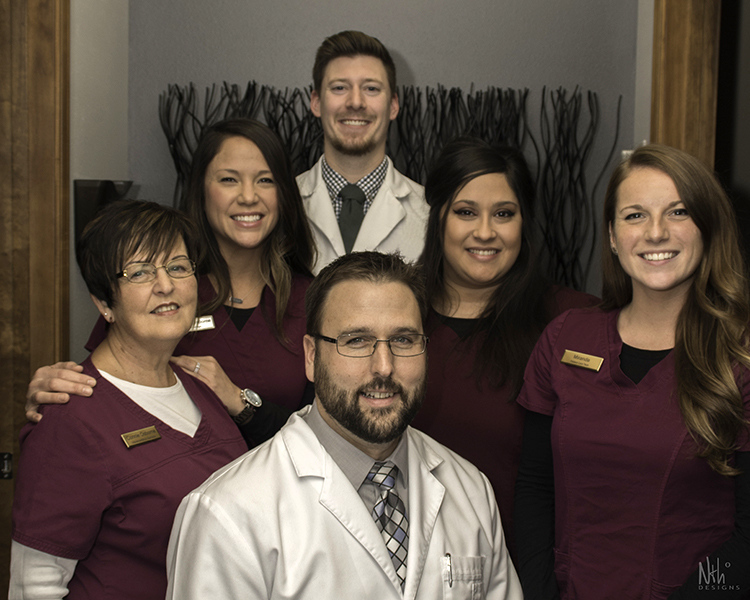 During the first few years of the practice, she was the only employee at Osborne Family Chiropractic and was therefore responsible for all office duties. She currently has the position of Billing, Coding and Insurance submittal and plays a key role in keeping the clinic running smoothly.